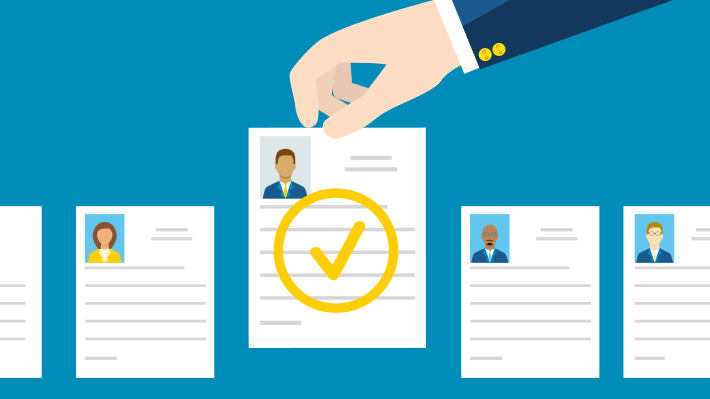 Many students know they need a resume but few know what makes a resume truly standout. Your resume is your first introduction to the company of your dreams. Make sure you leave a good first impression. Everything from the proper layout to word choice can be the difference between getting that interview or never getting a call back at all. For a quick guide on how to get the most out of your job search experience, follow the tips below. When organizing your resume, it can be difficult to determine what content employers and recruiters find most important and the truth is, it varies by experience level. But one rule you should always remember is put your name at the top. While many students like to get creative with name placement, noting beats ensuring your name and contact information lead the way. Students who may be looking for co-op or internship opportunities should list education right after their name and contact information. Without a good amount of relevant job experience, your education can lead the way in helping employers understand your skillset and areas of interest. Not only does your area of study and year help them determine your level of expertise, the name of your university can also provide a great networking opportunity. For those nearing graduation with plenty of co-op experience, your professional experience may be able to showcase how you were able to apply the knowledge you’ve gained from the classroom in the real world. Don’t hesitate to put your experience first and share what you’ve learned in the field. Just as you want to put the most important or relevant information at the beginning of your resume, you want to also put the most recent experiences. Make sure you’re organizing the content within each section in reverse chronological order, leading with the most recent relevant experience. Leading with your most recent experiences ensures that potential employers are familiar with the skills and projects you’ve most recently worked on and those that are most relevant to the position you’re currently pursuing. When writing the details for each of your experiences, remember to organize the bullets using the formula above – verb, text, context, results. A resume is essentially an overview of what you’ve done thus far so lead with a strong action verb. Your text after the verb should provide specifics on what you’ve done and lead to a detailed description of what was taking place in the company at that time (context). End this description with a highlight of the results. Share what you were able to do for the company and how you were able to help your team reach their goals. Whether you’ve just started working on your resume or you’re finalizing the details, it’s always great to get some help. The staff in the Undergraduate Career Services office can give you one-on-one counseling on your resume and help you find the perfect position for you. Jamila Johnson serves as a Communications Manager at LeBow. Prior to joining in 2017, Jamila worked as a journalist and web copywriter. Regardless of age, education, experience or industry, the more you understand what a recruiter is looking for, the better you can position yourself for a job offer.